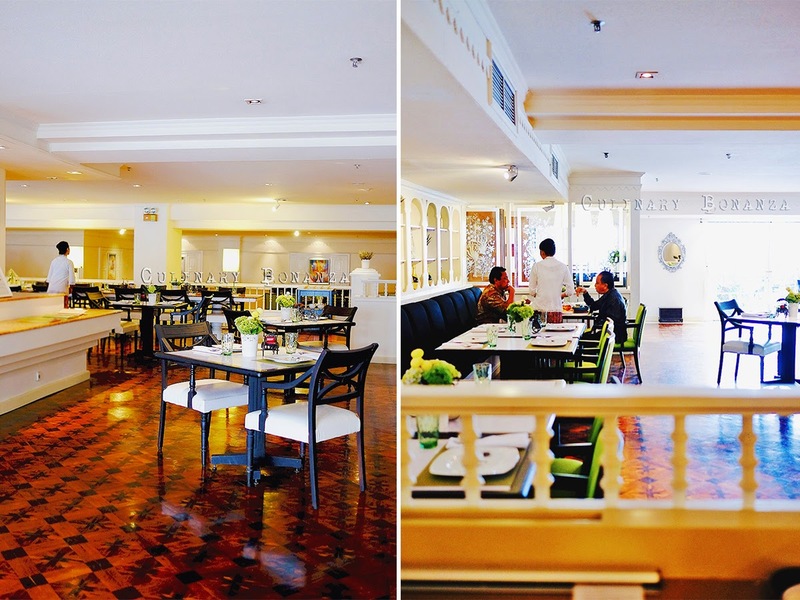 Bengawan Solo Restaurant at Grand Sahid Jaya Hotel, a local 5 star hospitality property owned by the Sahid Group, has actually been in existence for as long as the hotel was around. But it recently underwent a major renovation, a major facelift or rejuvenation if you wish to call it, that it might as well be recognized as a new restaurant! Expect some antics and theatrics in the food presentation here! 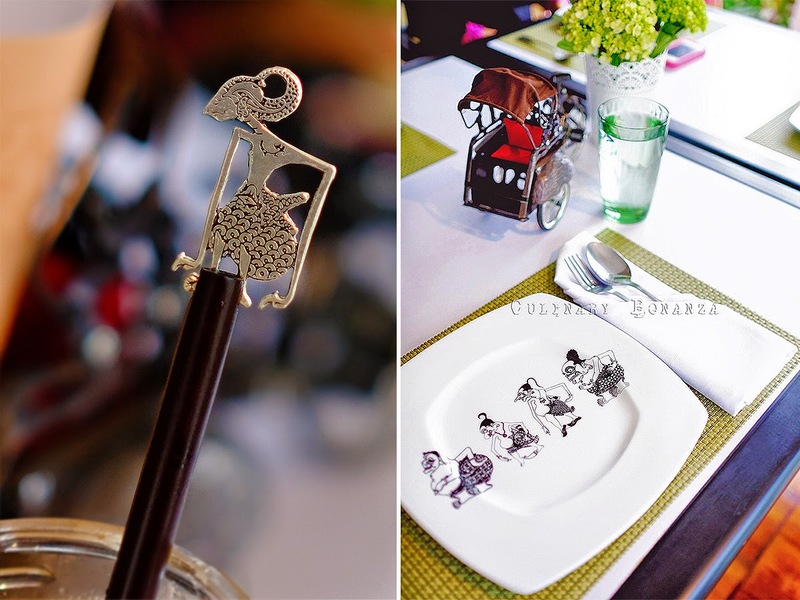 Bengawan Solo Restaurant today is a brand new fun dining concept, serving authentic Indonesian flavours in creative contemporary presentation. The Punakawan, or the 4 clowns in the Indonesian puppet story 'Wayang' are the main characters central in the concept of Bengawan Solo. The four are Semar, Bagong, Gareng and Petruk. The clowns are indication of the sort of 'fun' dining that one eill experience at Bengawan Solo. 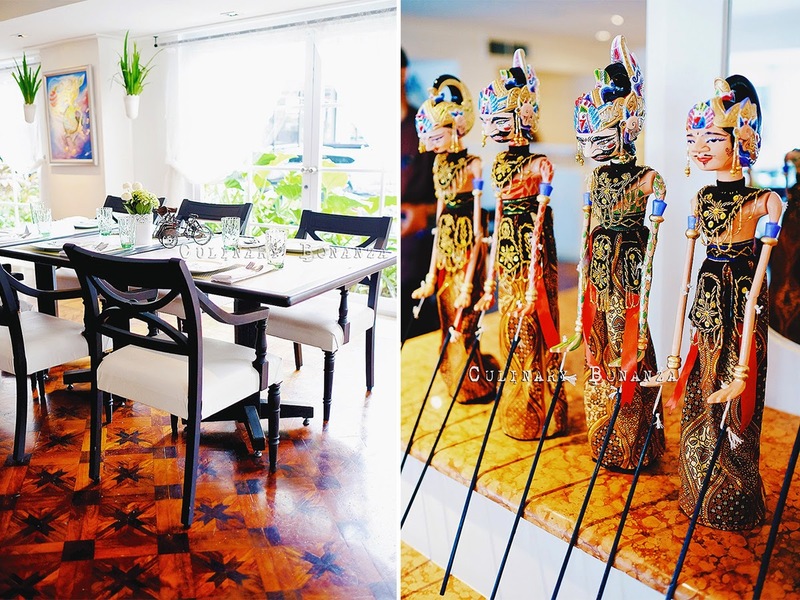 The entire restaurant underwent a major renovation, from what used to be an entirely wooden and more serious interior, with a Gamelan stage in one corner. The new Bengawan Solo is a playful combination of traditional and modern, plenty of clean and white surface, as well as well lit during the day. There are separate areas for smoking and non-smoking guests. Wi-fi password available upon request. 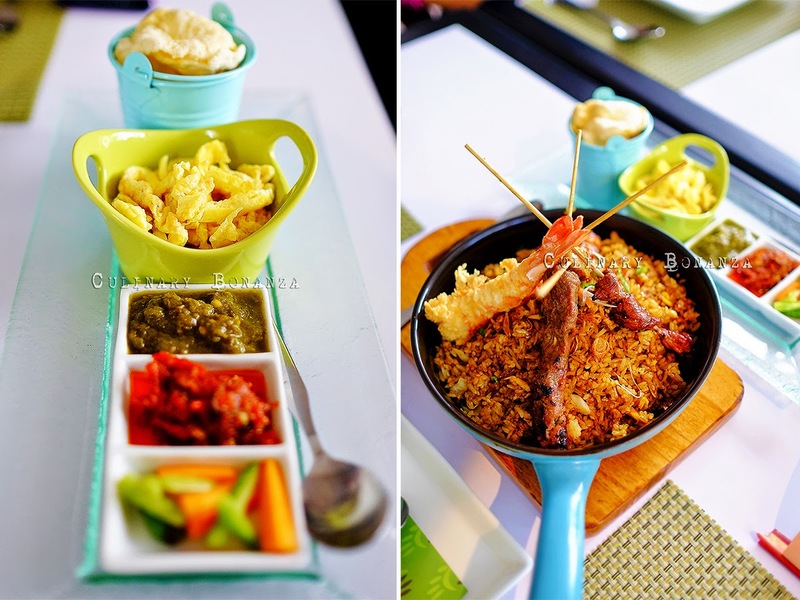 Entirely Indonesian menu from Appetizers, Soups, Salads, Sambal, Rice & Noodles, Seafood, Signature dishes, Chargrill and Braised, as well as Desserts. 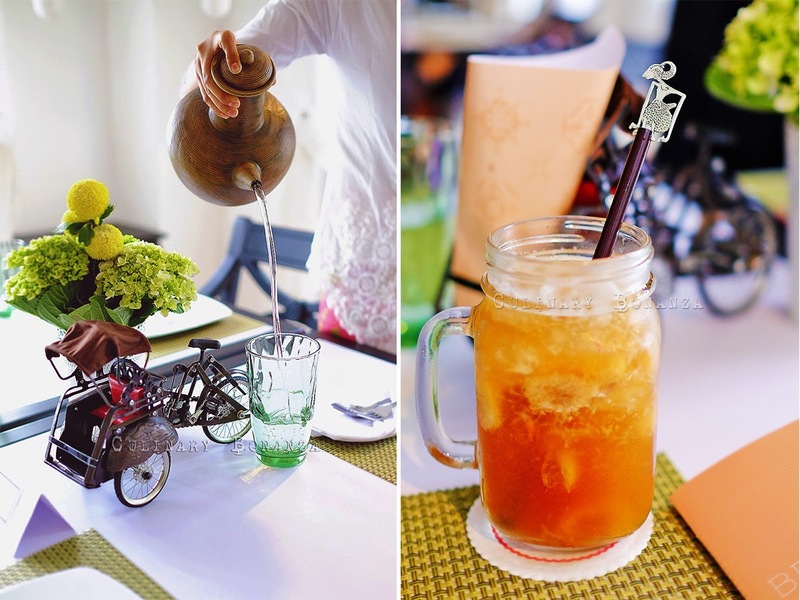 The Drinks menu has quite interesting Signature Indonesian Drinks such as Mangosteen Iced Tea, Jus Kopyor Es Krim Duren (milky coconut juice with durian ice cream), Beras Kencur (traditional jamu beverage). Just for dinner, there is Rijstafel menu, a complete 6 courses Indonesian menu from Appetizers to Dessert, at IDR 390,000 for 2 persons. I reckon this an absolutely good deal, considering the variety and the price. The Rijstafel requires at least 2 persons to go. 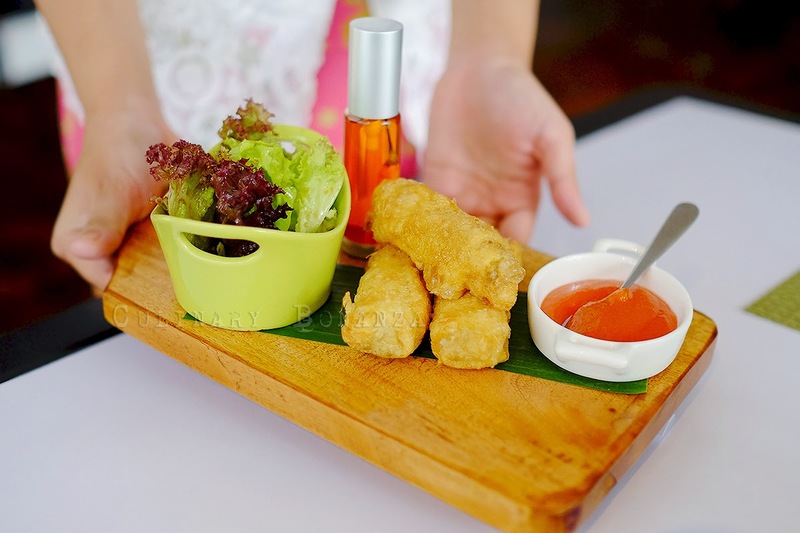 Sosis Solo - fried egg crepe with sweet and minced beef filling, served with sprayable chili oil. This is my first time eating Sosis Solo (literally means Solonese sausage), and it was nothing like a sausage. Absolutely must-order appetizer here! 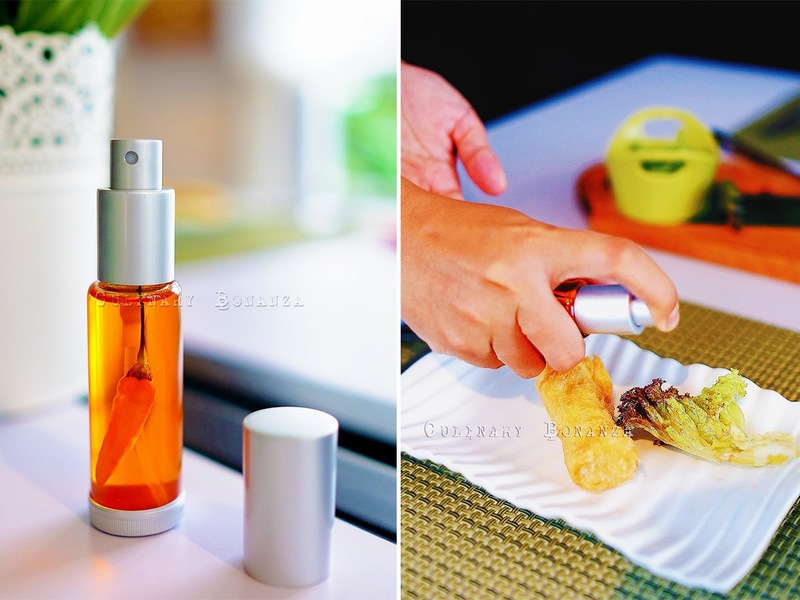 Right: spray some of this chili oil on the Sosis Solo! Do you see the filling? 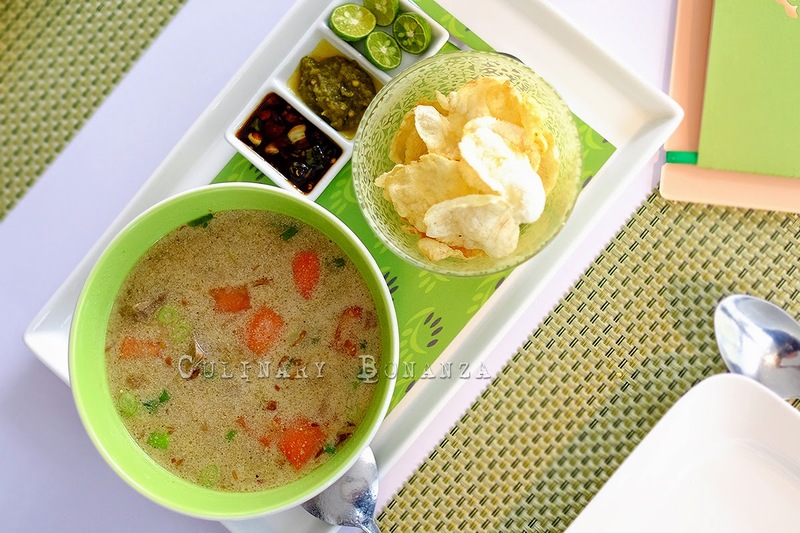 Soto Betawi - Beef, vegetables and potato soup in milky broth, served with melinjo crackers and green chili. Gado-Gado - traditional Indonesian steamed vegetables (string beans, bean sprouts, potato, water spinach, etc), tofu and tempeh served with sweet and spicy peanut sauce and fried shallots. The portion is quite massive, if you plan to eat other stuff, I'd suggest this to be shared. Nasi Goreng Bengawan Solo - original, fried rice served with grilled (beef, chicken and lamb) satays, fried shrimps, egg omelette julienne, pickles and sambal. This truly made my lunch, I loved how the fried rice tasted just like what I usually bought from the street food carts, the taste is authentic yet, fragrant and without the germs or pollution from the streets, definitely one of my favourite upscale fried rice dish! 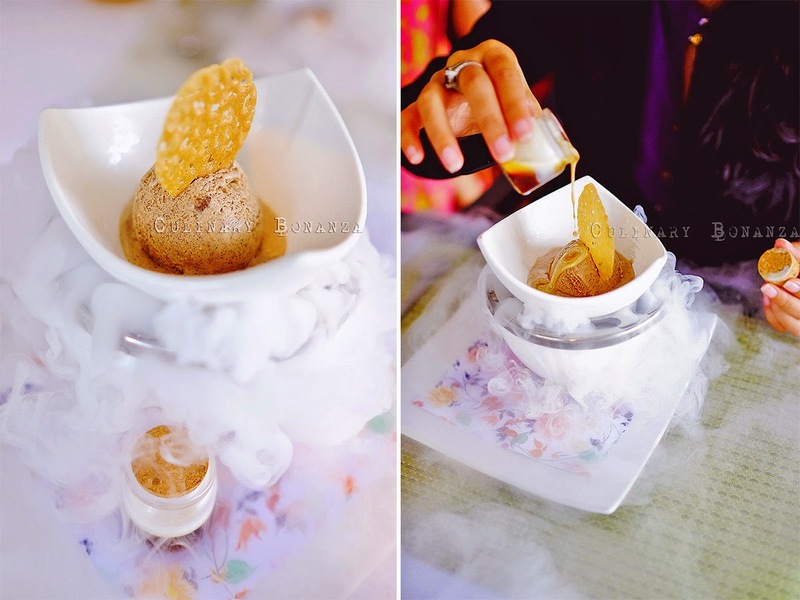 The ice cream here are truly exotic, other exotic flavours besides cinnamon are durian, lemongrass, honey ginger. But if you fancy something more normal, you can opt for banana, mango, green tea, coconut. 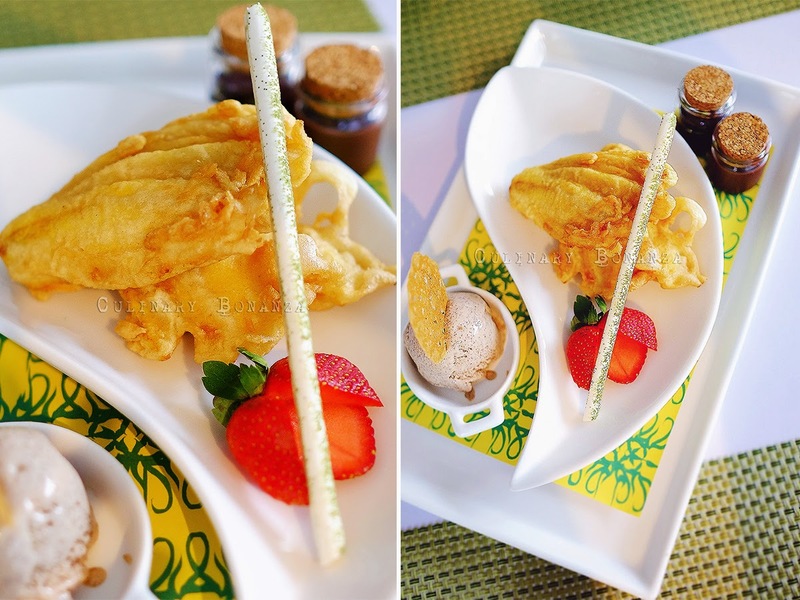 Cinnamon Experience (for 2-3 persons) - Javanese cinnamon bonbons, fried jackfruit-banana fritters served with cinnamon ice cream, chocolate sauce and palm sugar sauce. 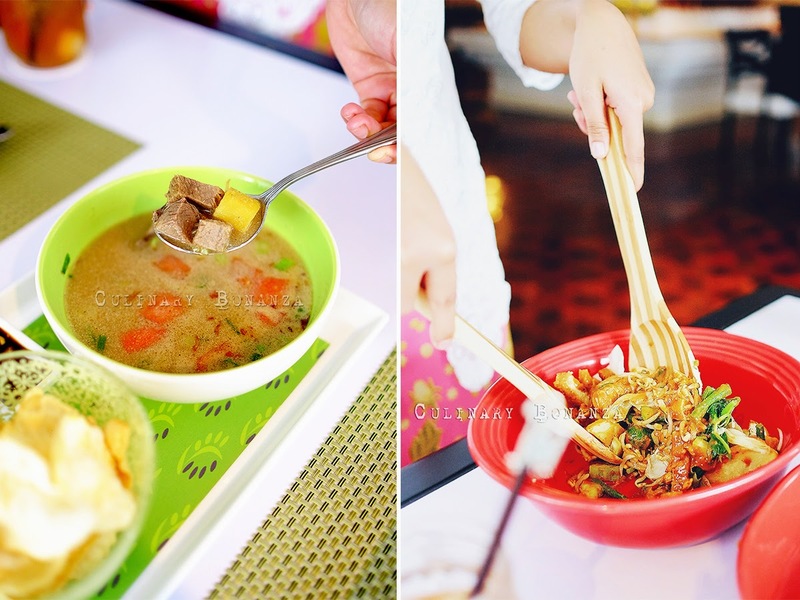 For the love of Indonesian food and yet still in the comfort of a 5 star property and strategic location, come soon and experience how fun eating Indonesian dishes can be! selalu suka dengan inovasi makanan tradisional yang disajikan mengikuti masa....tfs!